Casa Aqua was recently fully remodeled to be the perfect Blue-Green Oasis in the desert. 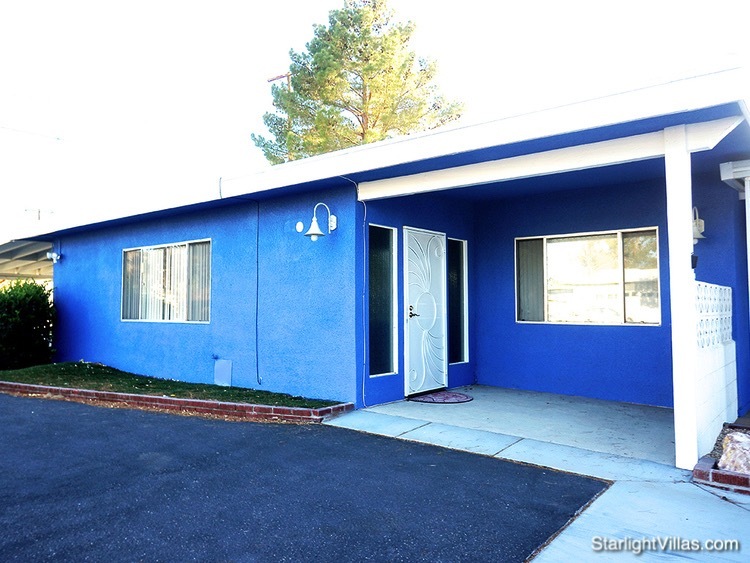 A fully detached 1200 square ft house, this vacation rental includes a bedroom with a King bed and memory foam mattress, fold-down sofa bed in the living room, one bathroom, a fully stocked open-plan kitchen, and a spacious private patio with BBQ grill. 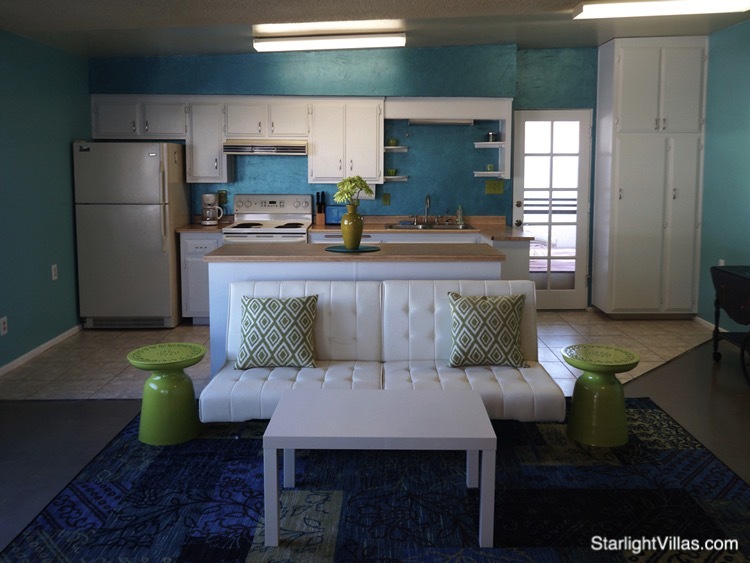 The sleek styling and comfortable furnishings will make you feel right at home during your Joshua Tree visit. 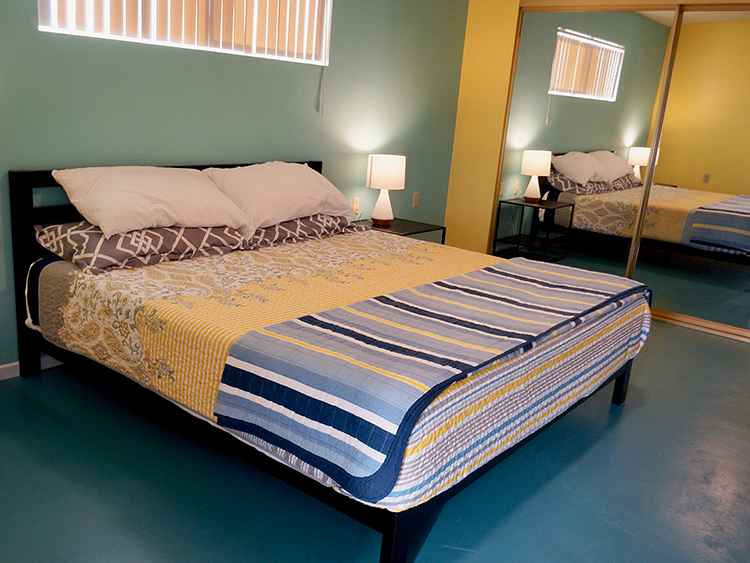 Casa Aqua can sleep 4 and includes an extra mobile twin mattress in the closet that can be set up in the living room.